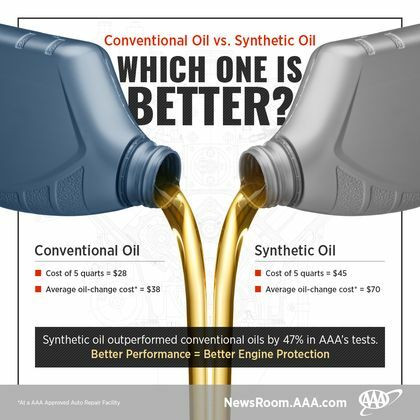 AAA’s engine oil research focused on eight industry-standard ASTM (American Society for Testing and Materials) tests to evaluate the quality of both synthetic and conventional engine oils in terms of shear stability, deposit formation, volatility, cold-temperature pumpability, oxidation resistance and oxidation-induced rheological changes. At the time of testing, all tested oils were licensed by the American Petroleum Institute and advertised to meet the International Lubricants Standardization and Approval Committee’s GF-5 specifications. When selecting oil, it is critical to reference the vehicle’s owner’s manual to ensure that the oil meets the exact specifications for that particular engine.